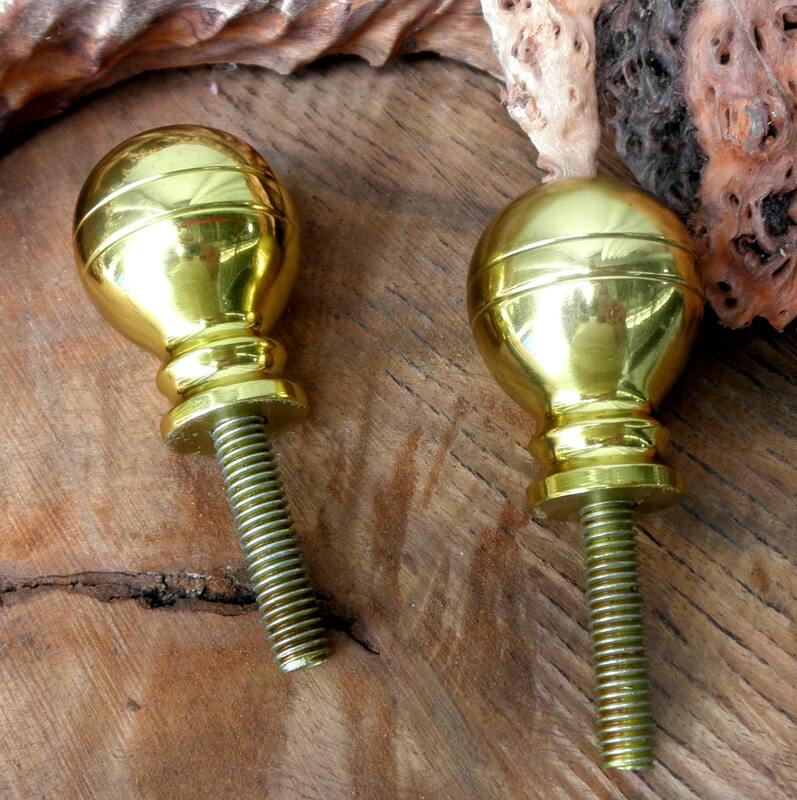 These Brass Ball Cane Handles are 2 1/4" high and about 1 1/2" in diameter and approximately 7/8" in diameter where the brass handle will meet the cane shaft. . 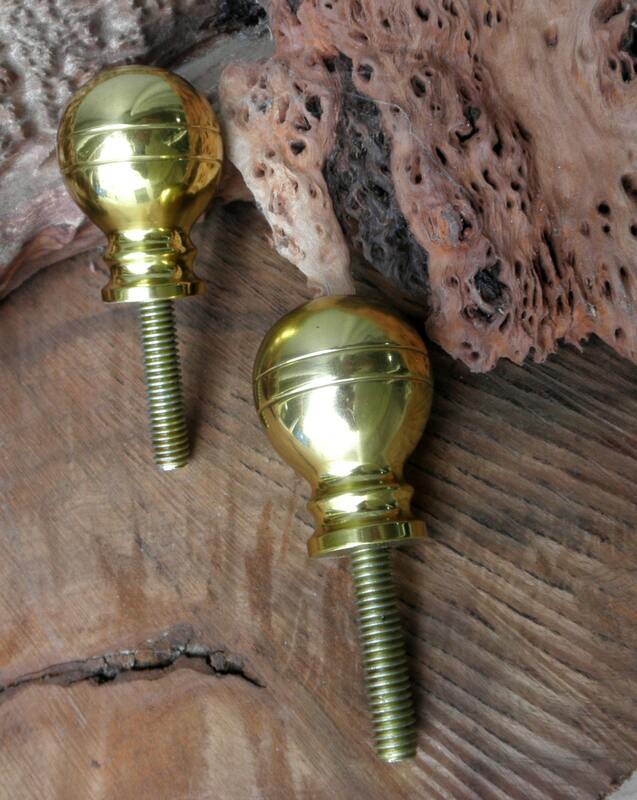 The handle is tapped to fit a 3/8" x 16 threaded rod (which is also provided) which can be seen in the pictures. The buyer must provide a strong shaft about 1" in diameter and be able to drill a 5/16" hole down the center of the top portion of the shaft. This 5/16" hole is then tapped with a 3/8" x 16 tap to a depth deeper then the threaded rod. 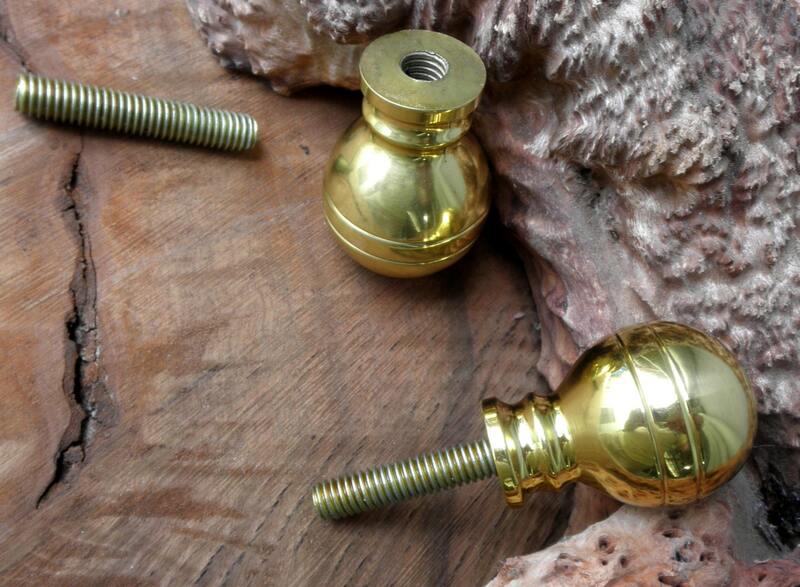 the Type of Brass "
" Brass cane handles have around 70% of Copper and 28% of Zinc and 2% Nickel etc. for the casting purpose and in case of brass sheet products the copper content is 73% and zinc in 25% and 2% is nickel etc. Basically the percentage of contents depends on the type of casting or molding requirements and the shape and the thickness of the products. 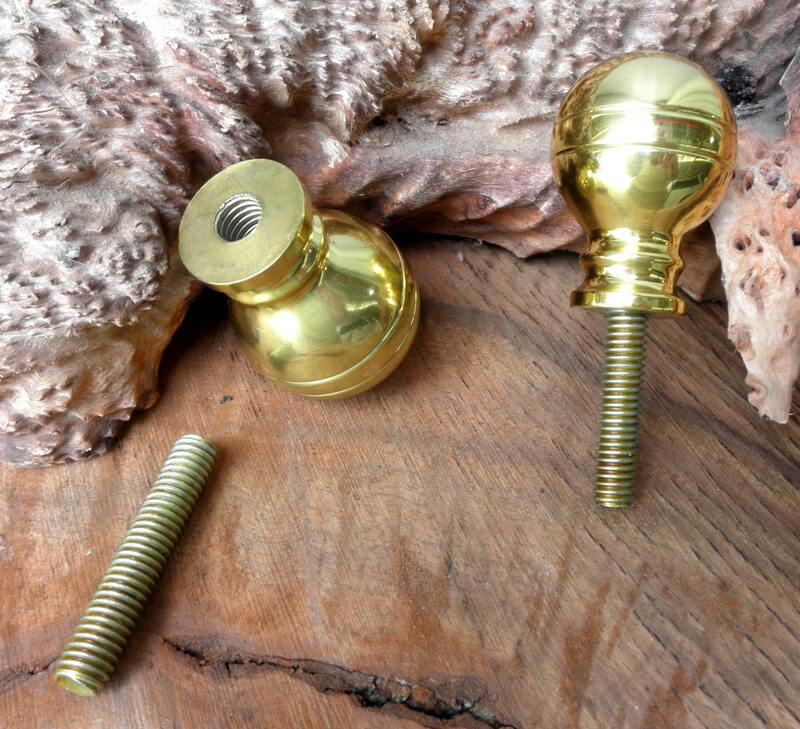 The more copper content in the brass will increase the softness and the more zinc content in the brass will increase the hardness." 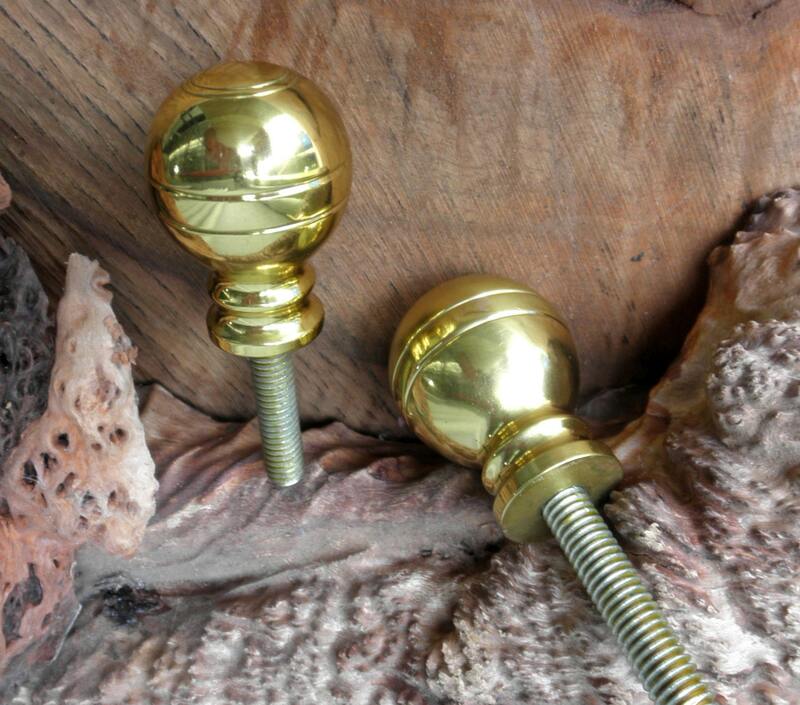 Note: All of my Brass Cane Handles are covered with a protective lacquer coating to slow down the oxidation process. This covering will wear off over time or you can remove it with a little lacquer thinner or finger nail polish remover ! !